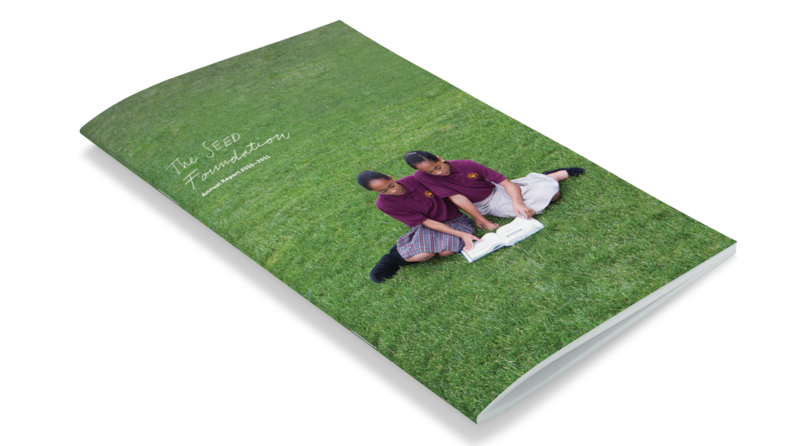 The SEED Foundation annual report is more than a collection of numbers and statistics, it’s a story of experience and community. 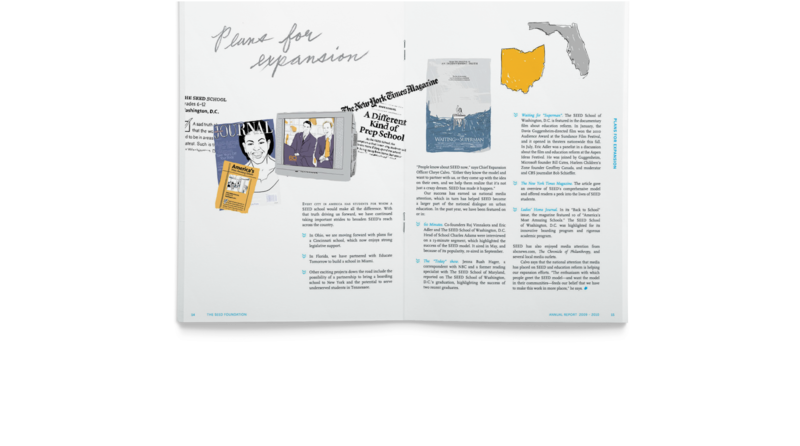 Together, we worked hard to pair visuals to showcase the story SEED wanted to share. 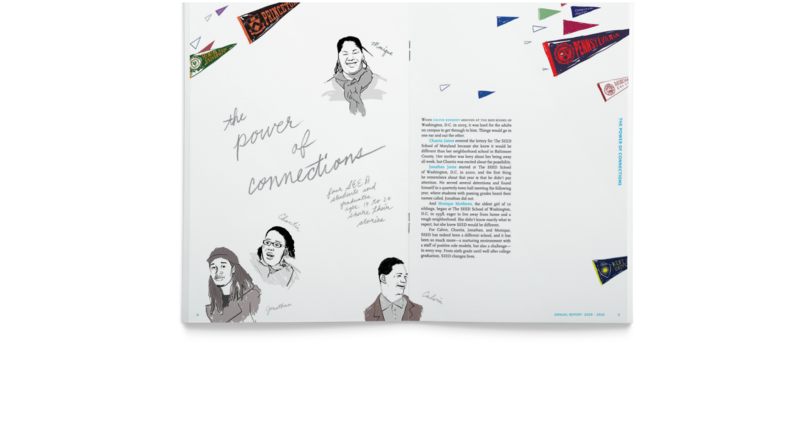 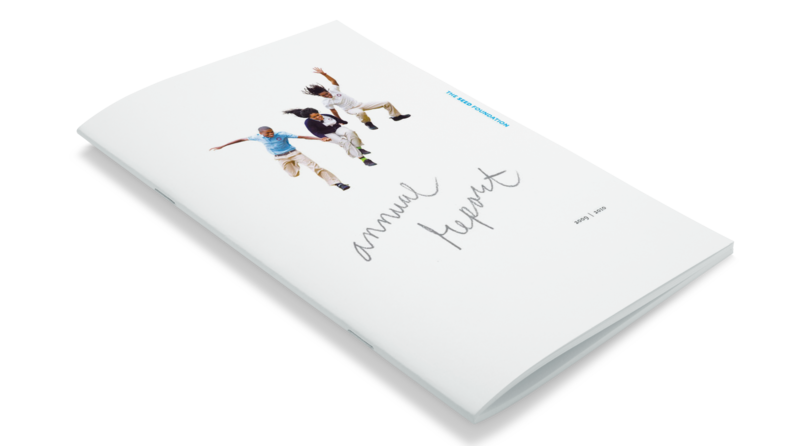 By including inspirational stories, quotes, and vivid imagery, we created an annual report that was actually enjoyable to read!